New Year, new me. Right? We say the same thing every year yet how often do we actually make any sort of change to our lifestyle or behaviour? The average person will have broken their New Year’s resolution by the 10th of January. And they are the ones who bothered to make one in the first place. The 1st January is a great time to make a change in your life. Of course, it is technically just like every other day, but there is something in our psychology that responds well to the idea that a new year is a jumping off point for something new in our life. If you are an avid traveller and you want to up your game, why not use your New Year’s resolutions as a way to do so. Need some inspiration? Here are seven useful New Year’s resolutions for travellers. Wouldn’t it be so nice if the night before we set off on our travels we didn’t have a minor aneurism trying to get everything organised? Make 2019 the year of advanced planning so you can start your vacation stress-free. It is easy to stick to the places we know and love. But, you never know what you might find if you opt for somewhere different for your holiday this year. The world is a big place full of wonderful things. Take the risk – you might be pleasantly surprised. Is your suitcase falling apart or not quite big enough for all your vacation gear? Get yourself some new, good quality luggage. It will last a lifetime and you will feel ultra snazz waltzing through the airport with it. 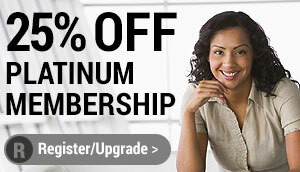 If you aren’t already a member of a frequent flyer program I recommend joining one now. British Airways has an excellent air miles program and members can rack up points by flying with the airline, using the British Airways American Express card, and shopping through its online shopping portal. Trade in all your points when you have enough and enjoy seriously discounted flights and hotels. It is hard to live in the moment and really enjoy your holiday when you are constantly checking how many likes your photos got. Make your next holiday entirely yours and stay away from social media. You’ll have more to tell your friends when you get back and you won’t waste any of your precious holiday time. On your 2019 vacation, make it your mission to learn as much as you can. You could pick up some of the language, learn about the history of the country, or even just take a local cooking class. Broadening your horizons is a great way to maximise your vacation time. There are so many different ways you can give back whilst on vacation. You could spend a day or two volunteering with a local project if you have the time. If you don’t, you could donate some money to a conservation program or buy a meal for someone in need. It’s up to you how you give back.